It is a truth universally acknowledged that deserving, amazing women are single because all the truly good men are fictional. And I am here to support this fact today presenting you dear reader with a trio of fictional Steves who have given me high standards and future relationship goals. If this quote below isn't accurate, I don't know what is. Back in the day around age thirteen, my sister Sara and some friends of ours made up extensive Ideal Man lists. I so wish I could find these ridiculous things now--they were giggle-worthy ten years ago but they would be a riot to read today. Each list held between forty and sixty--yes you read that right--"Must Have's" and "Must NOT's" for our dream guys. Today I bring you almost 23 year old Meghan's Ideal Man List built around a purely coincidental trio of men who share lovable, admirable qualities to aspire to--and the same name. Look at that face! Beyond the general handsomeness and 90's hair... He just looks at her like she is a precious gem, and he's the luckiest guy in the world to be with her. Younger Me WAS the heart-eyes emoji over Steve. 1. Must have corny/punny/cheesy sense of humor. For I dearly love to laugh and am the queen of cheese. Yes I know in this Steve's case it was scriptwriters. Details, details. 2. Must love to eat. Steve Hale is famous for always eating in Full House and honestly? I love to cook and bake and have inherited my mother's love language of feeding people. Not tired of the sap and twitterpatedness yet? Ready to read me the riot act for having such unrealistic expectations for men and that I need to get my head out of the clouds and perhaps that's why I'm single? My answer: Possibly. I'm a hopeless romantic. But one who knows real-life love stories are not the movies, they're messier, harder and what comes after the wedding--merging two lives--is the hardest thing ever. But I have a prayerful, open heart and am excited for whatever kind of guy God has for me, whenever He decides to. This post is simply an exposition on how three fictional heroes have inspired my "Hopefully Perhaps" list of ideals for a guy. 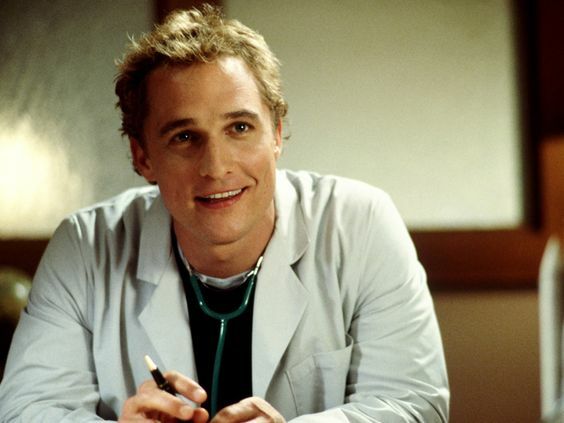 Matthew McConaughey as Steve/Eddie the doctor/groom in the 2001 classic, The Wedding Planner. And here we see when Meghan's affinity for blondish gentlemen came into being. But honestly I'm not picky. Steve is not only handsome, a pediatrician #goodwithkids, but what I love about him most is his smile. And how he challenges Mary to be honest with herself. 4. Must be a good smiler. Not simply have a handsome smile--but be in the business of smiling often because A: it'll make me smile when I need it and B: my heart will melt no matter what the smile looks like. 5. Must be honest with me and not just tell me what I want to hear, but what I need to hear. I know this will come with time, communication--but I'm going to need someone kind, but who can speak truth to me when I most need it. 6. Aaaannd it'd be nice if My Guy likes to watch old movies with me. Here above you have Steve and Mary (J Lo) dancing together under a starlit sky after watching the old movie Two Tickets to Broadway on a big screen in a local park. For future reference--great date idea. Any old time drive in movie I'd love. It's Chris Evans as Steve Rogers of the Marvel Universe. 8. Must be a good listener. 9. Must have a strong work ethic. 11. He "must" be preferably as much of a dork or more of a dork than I am and know how to laugh at himself and with/at me. 12. Must like/want children and committed to tag-team grace-filled parenting as God leads every single tiny step of the way with each child. So, I have to admit--the only good men are fictional? Not true. They are in real life few and far between, but they're out there and worth waiting for and worth never settling for less. It is going to be interesting someday how some guy not only puts up with all my annoying/endearing little quirks, but actually kind of likes them. It's going to be all God, that's what it's going to be. And until then, I pray for him, hope he's well, and can't wait to catch up on the years we were apart through all the years of our lives. Because it will be God alone who writes our story. Not me in all my hopeless hapless romanticism and googly eyes over heroes like these Steves. But God. The greatest Author of all time. I think I'll leave this story in God's hands permanently and not try to write it myself. #7 is my absolute favorite. 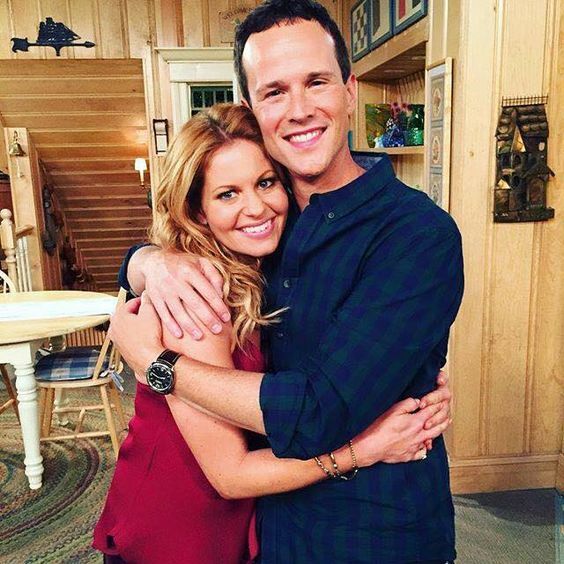 I always wanted him to be kind. This is fabulous. So fabulous a link will be in the March 5/6 Seekerville WE Ed. THANKYOU!! Number 9 and 11 were my favs. Wonderful list! Meghan! I love this post. L-O-V-E it. I admit I was never a big Full House fan. *ducks to avoid soda cans from all my friends* But I did like the Steve/Eddie/groom from The Wedding Planner. Thank you for such a fun memory-sparking post and the reminder that God is the author and fulfiller of romantic hopes! P.S. You won something in Seekerville over the weekend. Do stop by to claim. Rules on the page.